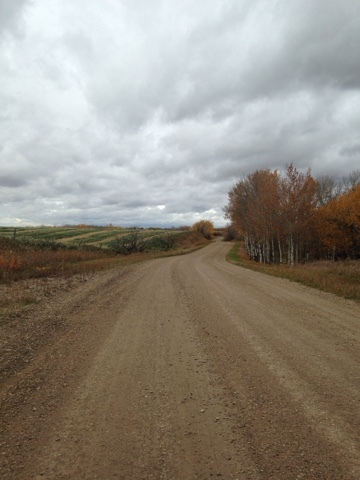 Ferrintosh, Alberta September 21, 2015. No names or signs. Boarded up and now residing in someone's yard. 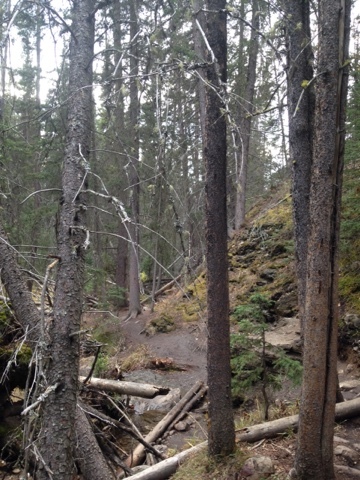 Banff National Park, October 18, 2015, a 0.7km hike just off Highway 1A. I was here with my brother-in-law and my nephew. We rode here from Airdrie on motorcycles. This is the path from the parking lot. 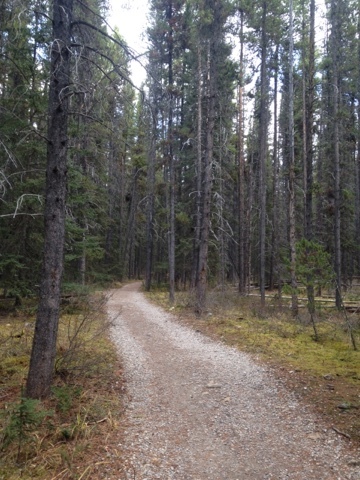 Parks Canada does a great job. The trail forks. 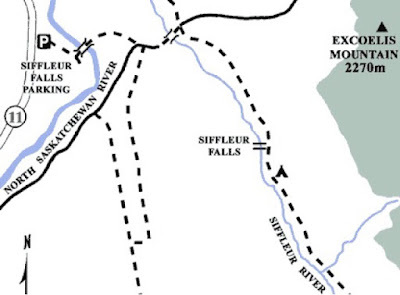 The hike to the lake is close to eight kilometres. Of course the route we took quickly changed. 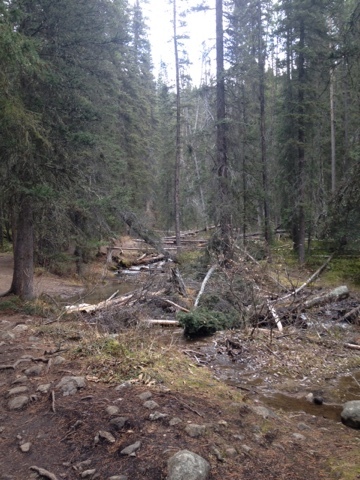 The trail is easy however there is a lot of fallen trees to duck under and climb over. We found out there is another path that goes to the top. A trip for another time. 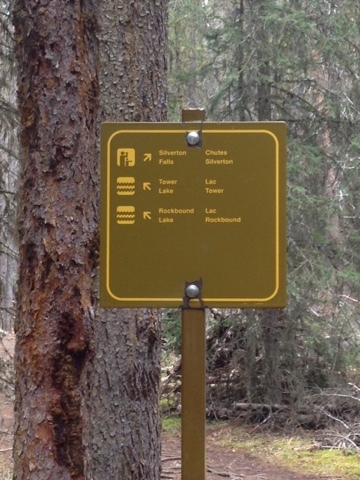 The trail is more fun this way. 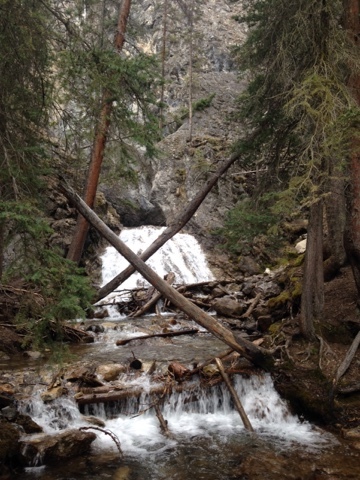 This is not a big falls. The walk is worth it. It is hard to capture due to the thick forestation and the very sharp narrow and steep chasm. You practically cannot see the falls until you are right at the base because there are so many trees blocking the view. 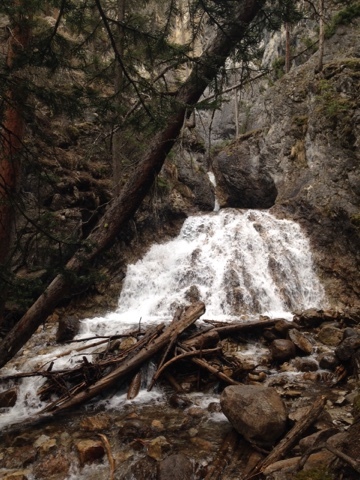 You can get a hint of the narrow rock that the falls cuts through. I hopped across on some rocks to get to the other side to try and get some better shots. Great stuff. First settled in 1910. Now on the verge of ghost town status. The white building off in the distance is a community center. The building obscured by the trees looks like it was a school. Remaining grain elevator alongside an abandoned rail line. Remains of a business. A few people live here. This is not on any main routes. It is only a matter of time before it fades away. Not much remains. A few places on my list of places I want to revisit in no particular order. Manyberries, Alberta - Simply because whoever lives in the old train station repainted it this year. 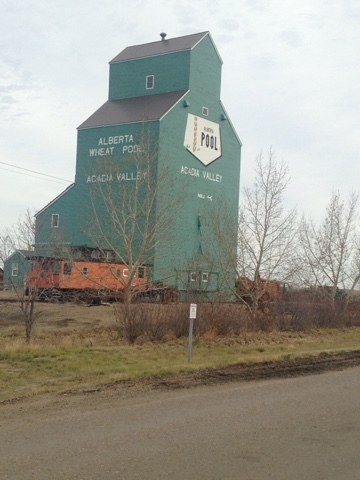 Orion, Alberta - When I was there I think I missed the best part of this place. Namely meeting the person who has the sole business in town. 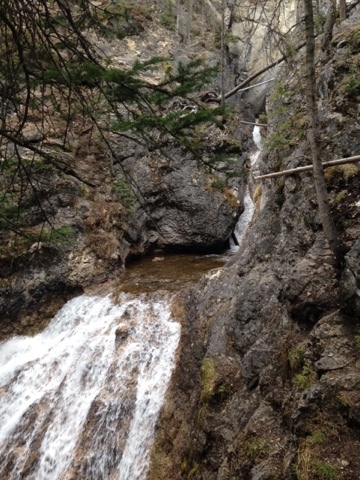 Empress, Alberta - I enjoyed my trip so much the first time I just want to do it again. 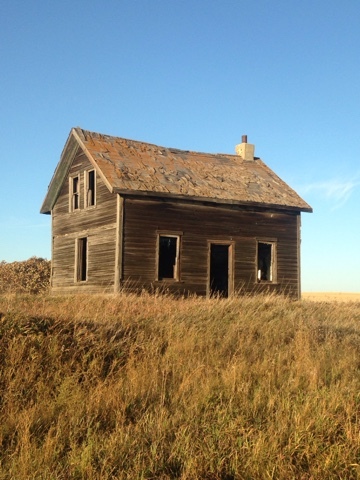 Markerville, Alberta - Just because. Kaslo, British Columbia - I really should have toured the SS Moyie. I need to go back. New Denver, British Columbia - This area is just a great ride on a motorcycle. 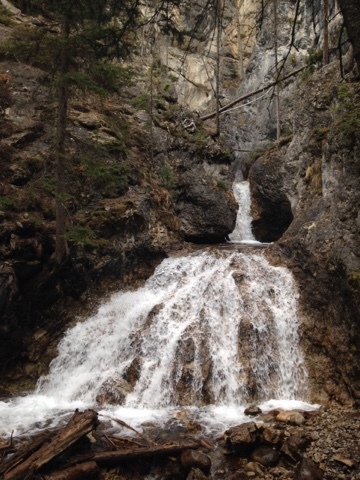 Jasper, Alberta - Again, just because. 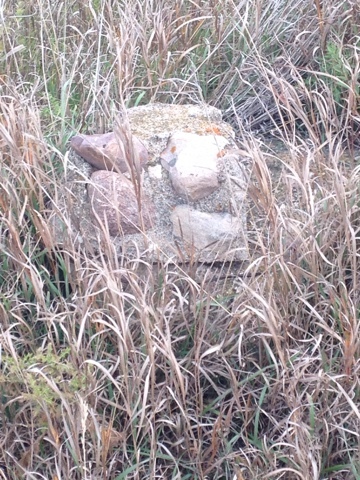 Observed on October 10, 2015. 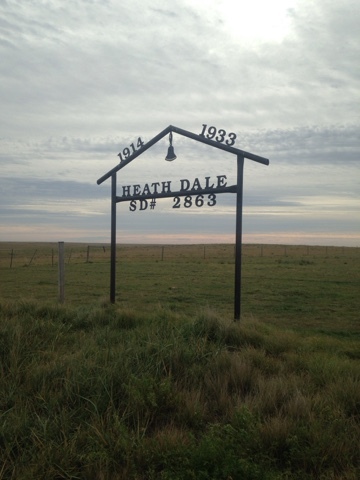 On Highway 570 east of Big Stone, Alberta. 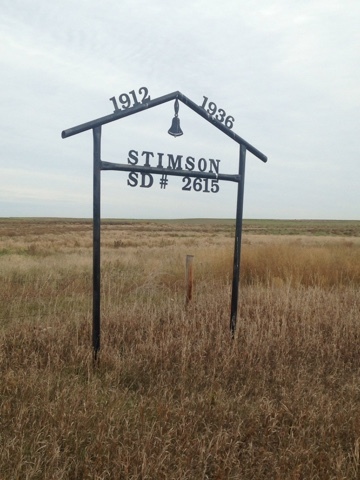 The Stimson one looks like there was a piece of foundation behind it. 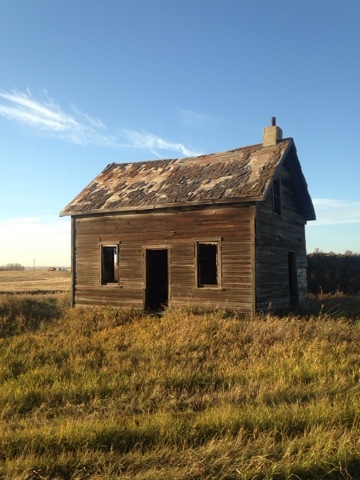 This one was on Township Road 282 just off Highway 9 west of Oyen, Alberta. What remains of the school is sitting in a field just down the road. It is in poor condition. 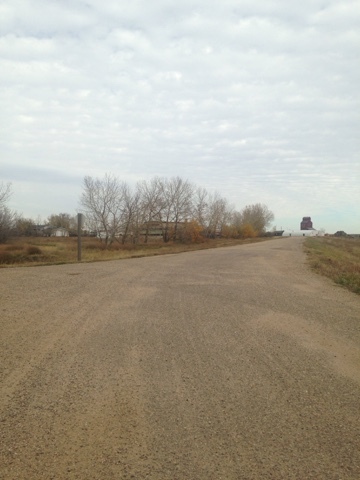 Highway 41, north of Highway 9. No building remains. 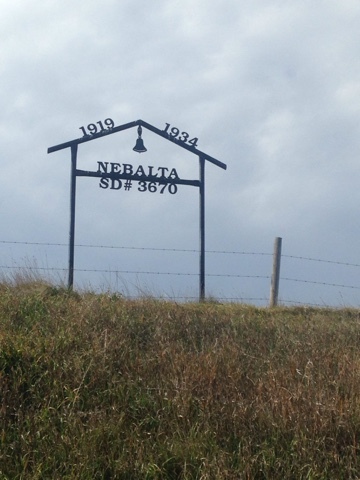 Also Highway 41, north of Highway 9. Nothing except the marker. A number of these that I run across had dates that ended in the 1930's. The reasons are obvious. Years ago I read a book by Max Braithwaite titled "Why Shoot the Teacher?". 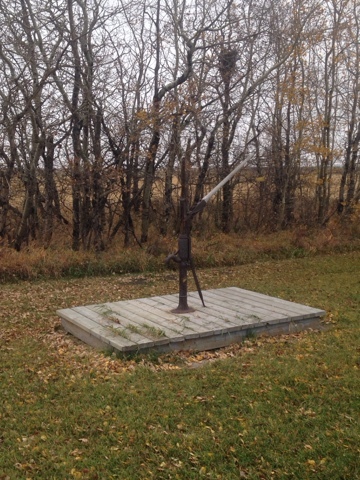 He was hired as a schoolteacher during the depression in Saskatchewan. He mentions areas being so poor that teachers were paid in scrip or promissory notes, there was no money to spare. The farmers kept the teacherage stocked with food. The dustbowl caused enough people to move that some schools were no longer needed. Tough times that I would not want to experience. Living the life of . 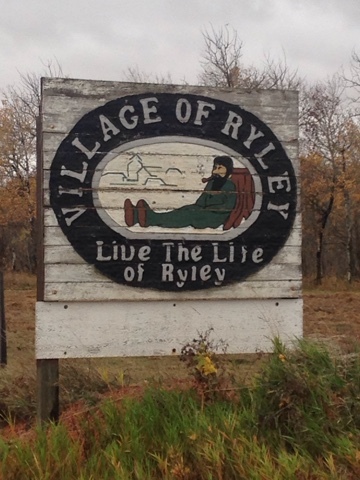 . .
Ryley, Alberta October 11, 2015. 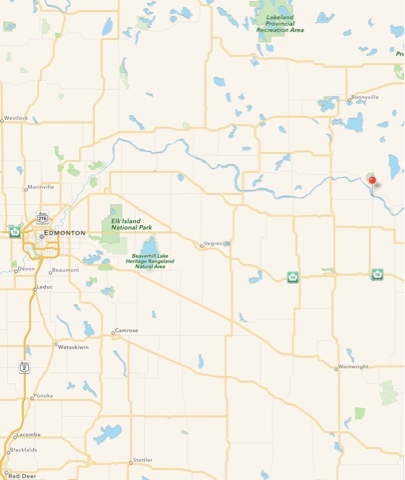 Practically at the junction of Highway 834 and Highway 26 east of Camrose, Alberta. The sign above the door says 1904. The centennial says 1903. 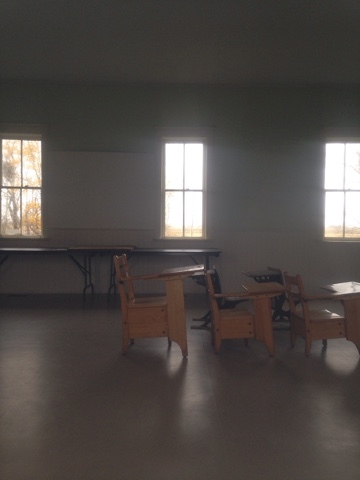 Classes may have been held somewhere before the building was finished. 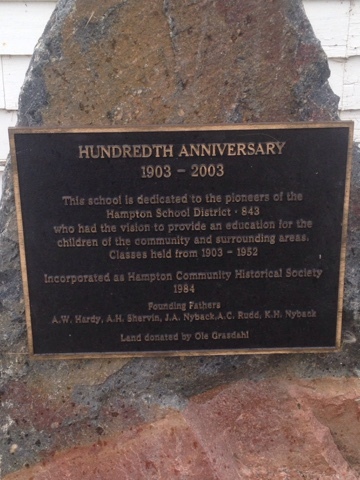 It states the school was in operation from 1903 to 1952. 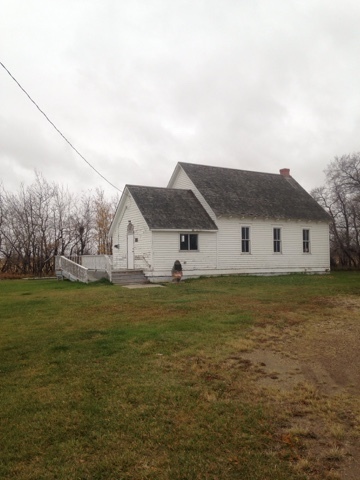 This one likely became a community hall after it was finished being a school. I should have tried this to see if it still works. It was a miserably windy day. Perfect condition inside. 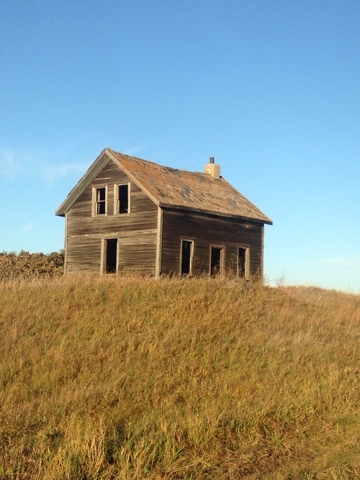 It is not specifically preserved as a school. Definitely in use as a hall. It was locked, I got this from the outside looking in. School marker noting where a school once stood. I saw this on October 10, 2015. The sign is heavily obscured by trees and brush. 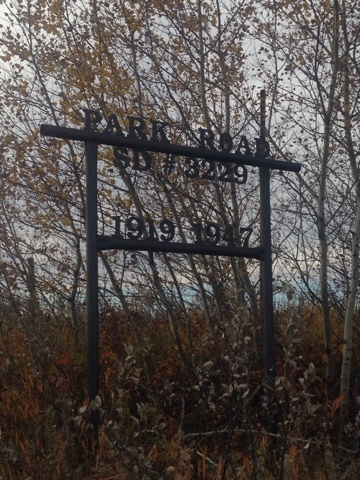 Park Road SD (School District) #3229 1919 - 1947. Concrete foundation where the school once stood. What makes this kind of interesting is there is a fence right behind the school marker between the marker and the foundation. 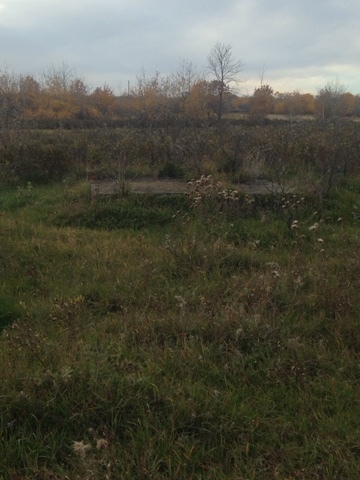 I believe the foundation might be on land reserved for the use of the Canadian Armed Forces as this is close to C.F.B. (Canadian Forces Base) Wainwright. There are "No Trespassing" signs and fences all over this area noting restricted access. 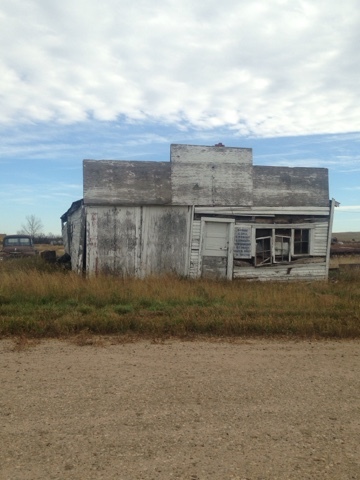 This is just a bit west of Airdrie, Alberta. 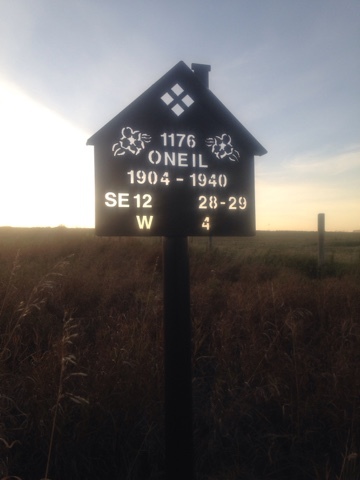 First school marker I have seen of this type near where I live. I have seen this style before in other places in Alberta. Not the best photo since when I found this the sun was directly behind it. Spotted this by chance October 15, 2015. The elevator and rail cars are a museum. One of those places I will have to get back to during the summer months when it is open. This is one of the most interesting sights I have run across. 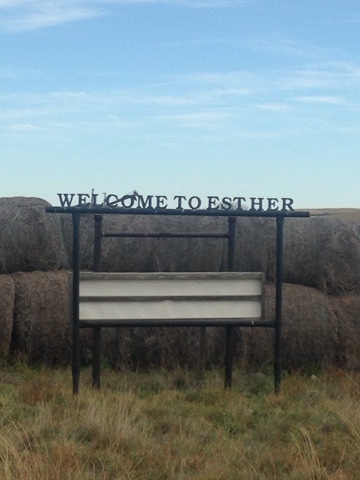 Noticed this while driving along a rural highway on October 10, 2015. I could not find any additional information and there was nothing else at the site. 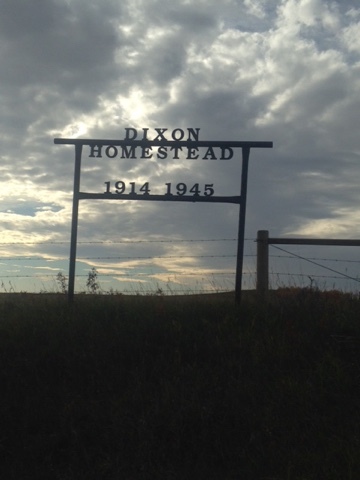 I have noticed a very small number of markers noting homesteads. 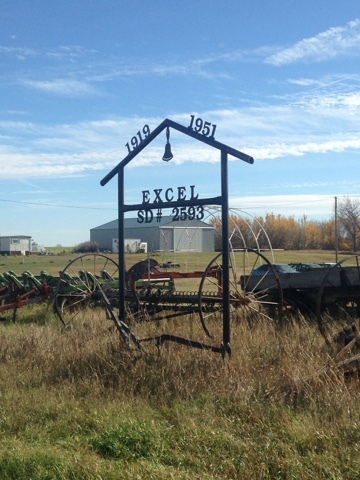 I would like to know if there is a historical society putting these up or descendents of the original settlers. October 11, 2015. 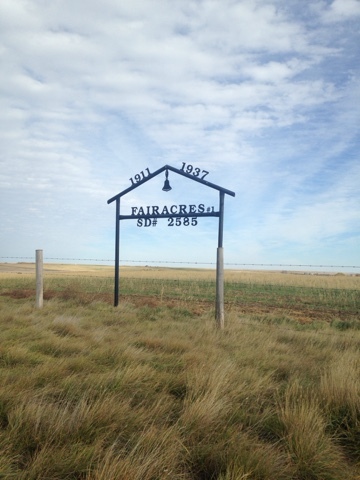 Fenn was a rail stop south of Stettler, Alberta. Very little remains of it now. This is just south of Fenn. I love my Ipad for most things but it is the worst thing to post with. For some reason it does not like Blogger when I sign into my site. Using the Blogger App is not any better with an Ipad. I usually upload photos and some text, save them in draft form, then format and clean it up later with a different computer or tablet running Windows. 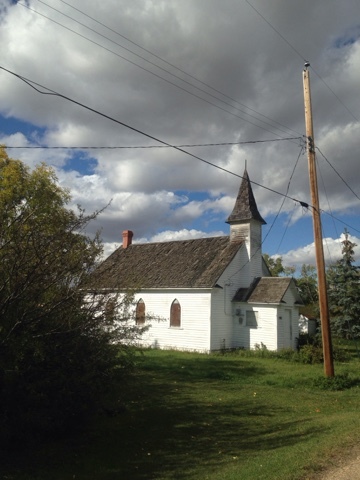 Someone emailed me to say that I should have taken a photo of the Anglican Church in Monitor, Alberta when I was there. Actually I did. Sometimes I take photos of stuff and save them for a later post. In this case I took photos but the truth is I am a very amateur photographer at best and I did not like the results. 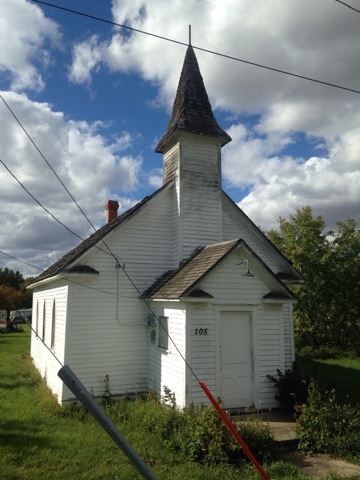 This person also informed me that this church is the second oldest Anglican Church in Alberta that is still being used. That I did not know and I appreciate the information. Getting comments and suggestions is what makes doing this fun and interesting. I plan on going back through this area as there are some other places I want to see. 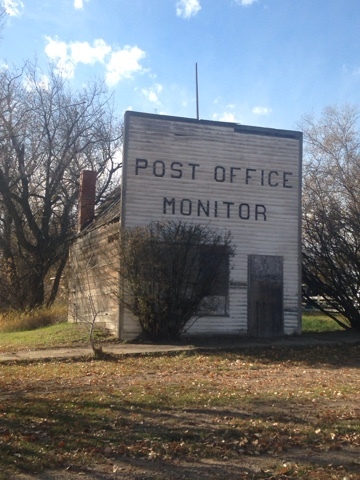 People do live in Monitor. 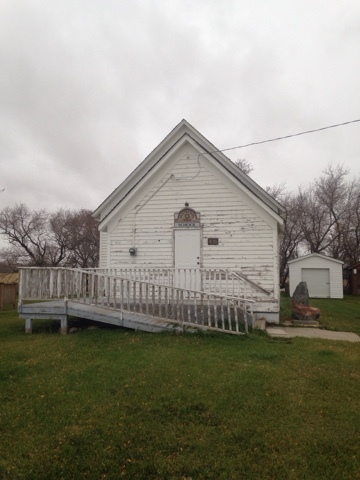 It is a small place, buildings that are still in use are right beside this building. 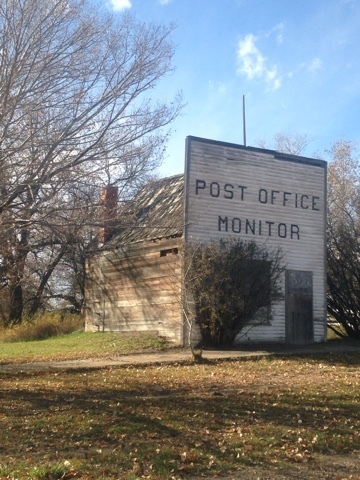 The post office is abandoned. I am glad they never tore it down. Buildings like this are rare. I never got the false fronts on buildings. The intent was to make them appear bigger than what they were. Obviously it never fooled anyone. I would guess it was one of those things at one time that became so ingrained people just automatically incorporated them. 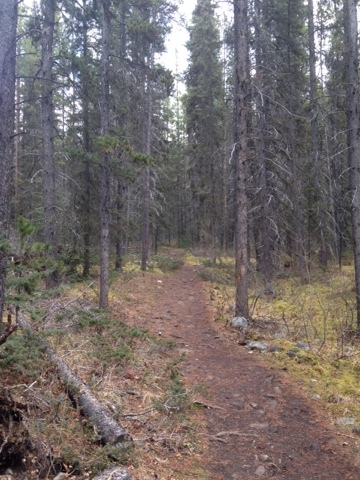 A continuation of my post "Hiking in the Kootenay Plains". I went back to this area to continue on past the two bridges onto the falls. I got here too late in the day last time. 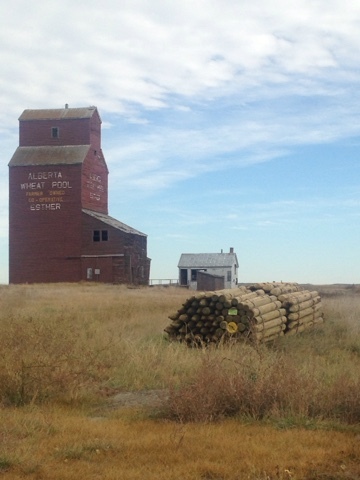 Sights like these are somewhat common on the backroads of Alberta. 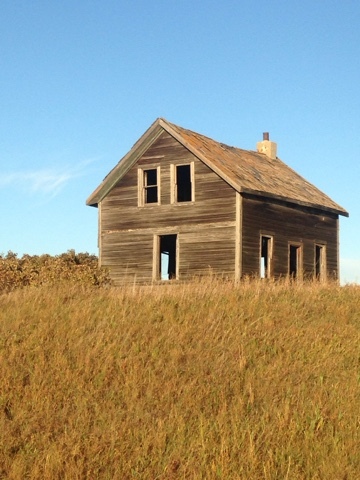 This is just north of Islay, Alberta on October 10, 2015. It was an absolute perfect day to be out to explore.